The System is designed for the HVAC Contractor who may require the capability to monitor hundreds of installations as well as the home or business owner that requires the ability to self-monitor their own unit(s). 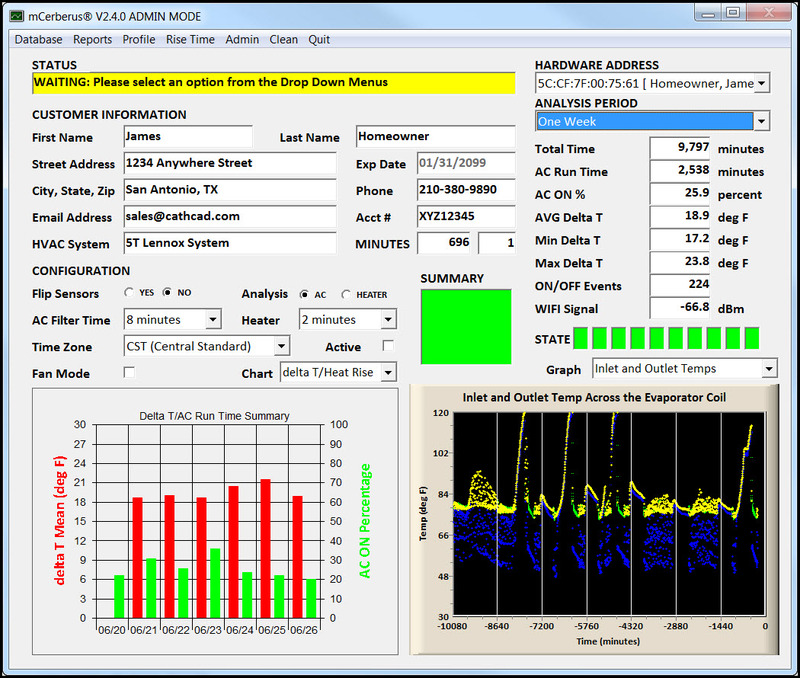 Our back end SOFTWARE application analyzes the data obtained by the hardware unit and determines the current state of the HVAC system. Pricing of the MCerberus® MCB-400 Series System (Hardware and Software) starts at $295/unit. Contact us for dealership opportunities which provide exclusive territory assignments as well as HVAC Contractor pricing. The MCerberus® 400 Series System was awarded Second Place in the 2017 CPS Energy C3 Competition. For more information on Residential HVAC Monitoring and Diagnostics please see our article published on June, 2017 in the Extended Edition of ACHR NEWS. For more information on Optimizing your Home or Business Digital Thermostat please see our article published on December, 2018 in the Extended Edition of ACHR NEWS. For more information see our website at www.mhvacmonitor.com.